Nature Squared has been the pre-eminent supplier of specialist natural material finishes to the superyacht industry for over a decade. 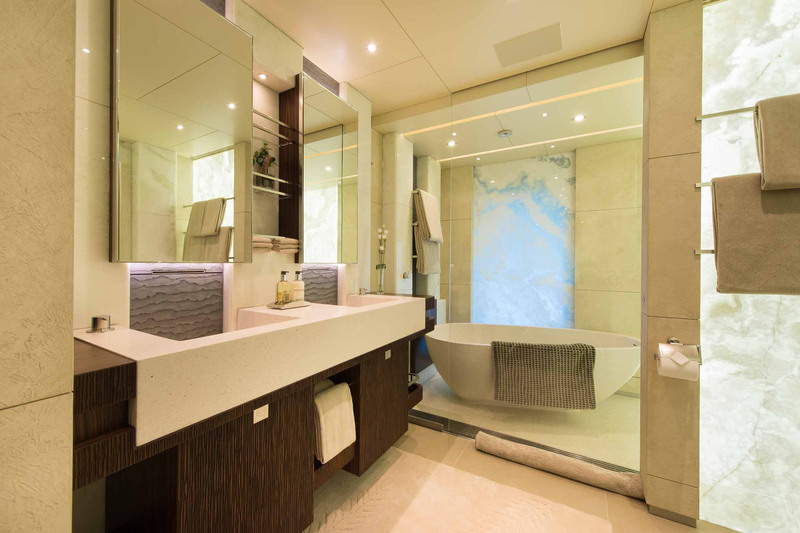 We have been involved in the largest and most prestigious projects, helping realise the dreams of their owners in their quest for one-of-a-kind interiors from the most renowned names in yacht design. A bath-tub lined in eggshell…a shower wall of wafting feathers…curved cabinet doors with urchin spines…swimming pool columns and floor of jade and shell…glass-encased inlays for light features…artwork on ceilings, staircases, Venetian blinds… we provide breath-taking and innovative solutions that push every boundary. 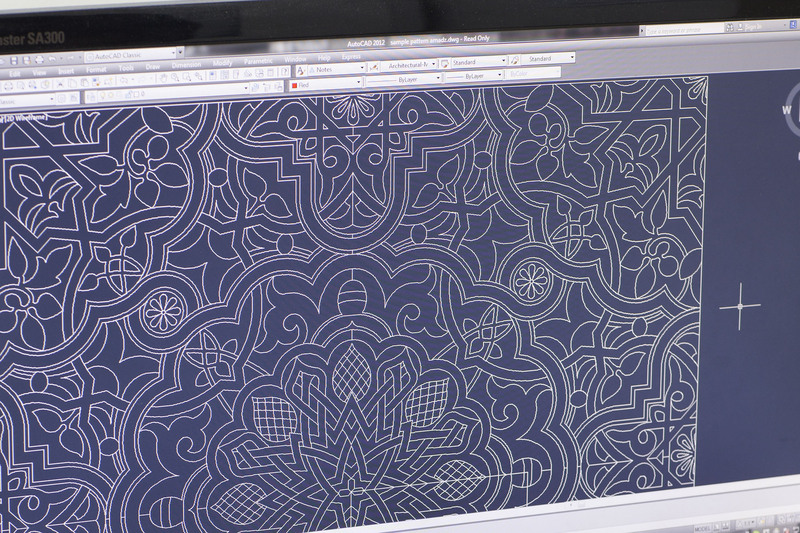 This is the pinnacle of Bespoke design, where every detail is carefully considered and customised. In this industry, we have come to represent a re-defined concept of exclusivity: from the rarity of sought-after precious materials to the ultimate bespoke product based on unmatched craftsmanship of unusual but common materials. The natural qualities of our materials give them longevity of interest and an innate sense of permanence. 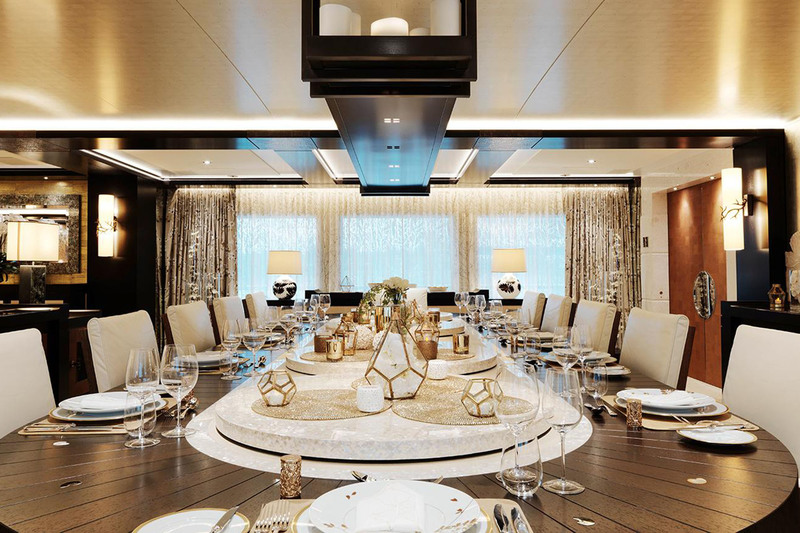 This interior of a recently completed super yacht features materials of diverse provenance combined into a harmonious whole. The cabinetry is clad in frog skin and the flanking panels in buffalo horn. The white-stained wood-clad walls comprise small hand carved wood elements, each individually unique, that has then been attached to the walling. The central feature panel was inspired during a dive by observing the play of light from above onto the ripples of the sandy seabed. We have inlaid mother of pearl onto a contoured surface, differentially selected for colour so that the shell appears blue when viewed at an angle, but white when viewed from the front. 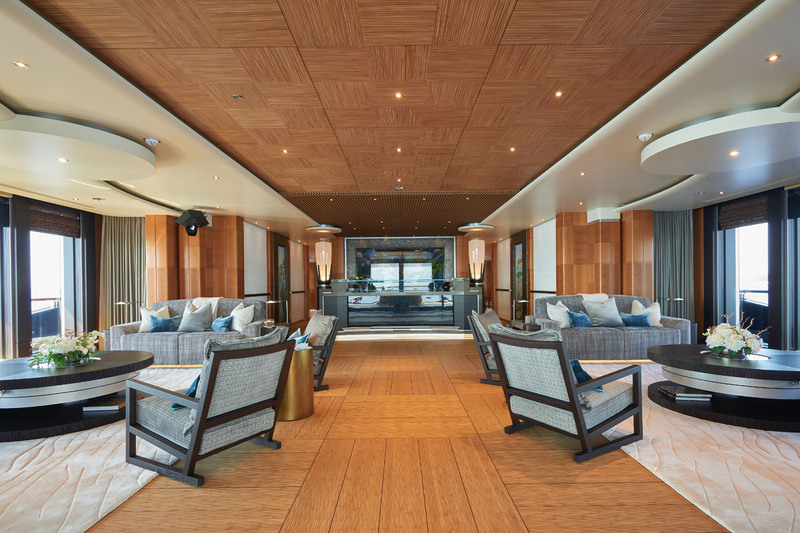 The ceilings throughout the boat are of bamboo, cut and inlaid in a grid pattern customised for this boat. Other Nature Squared materials featured on this boat include sea urchin, pufferfish skin, eggshell and cross cut vines. The bamboo groves required us to encapsulate each leaf, twig and stem in resin. The depth and density comes from overlapping stems of bamboo. We were challenged to produce panel of such thickness and clarity without a single air bubble-especially as each bamboo stem largely comprises air filled pockets. The use of eggshell inlay is a heritage skill going back thousands of years. It had never before been applied on to a bathtub, both in and out. It required innovative treatment to ensure its functionality, to withstand weight, temperature and cleaning requirements. The bathtub stands on a flooring of bone. Ultimately, we are a company with a developmental objective, and sustainability is always top of our priority list. We systematically assess the sustainable future of all materials before using them. We only use those that are abundant and not endangered, protected or threatened. Moreover, it is not just about recycling and repurposing, but rather rethinking these supply lines holistically. We work mostly with by-products from other industries, such as farming and fishing, to up-cycle what would normally be considered waste. Most importantly, sourcing from other industries allows us to foster regionally developing economies. For example, we pay fishermen for shells they would normally discard once the meat has been harvested. This gives them an alternative source of income, which thus reduces the pressures to overfish. Even a well-known material like mother of pearl can present challenges when used in a new application. While we have incorporated mother of pearl in many dining tables, these Lazy Susans were of a size and weight where there were no commercially available rotating bases of adequate quality. Some lateral thinking by our industrial designer provided a solution based on the use of production-line manufacturing components. This is a good example of the synergies that we find between the needs of this Industry and our work with the automotive sector and other Luxury Brands. 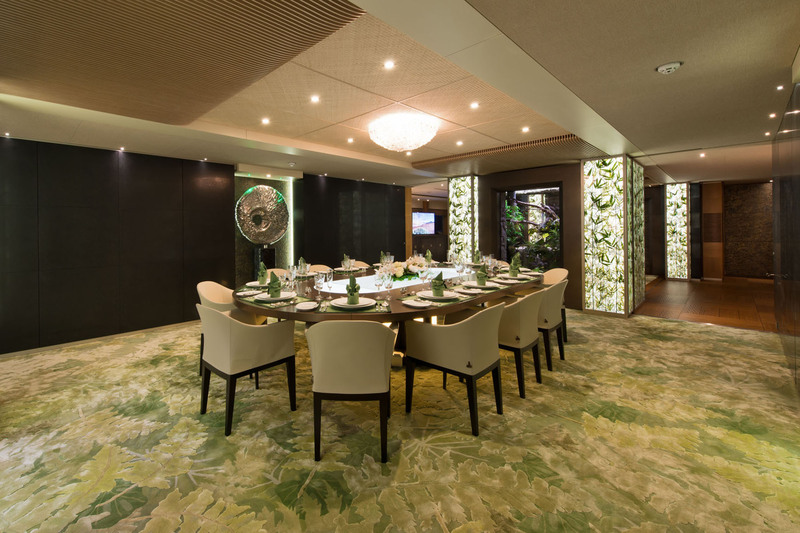 In this interior, the cabinetry is clad in tobacco leaves and the table tops feature feather art works. 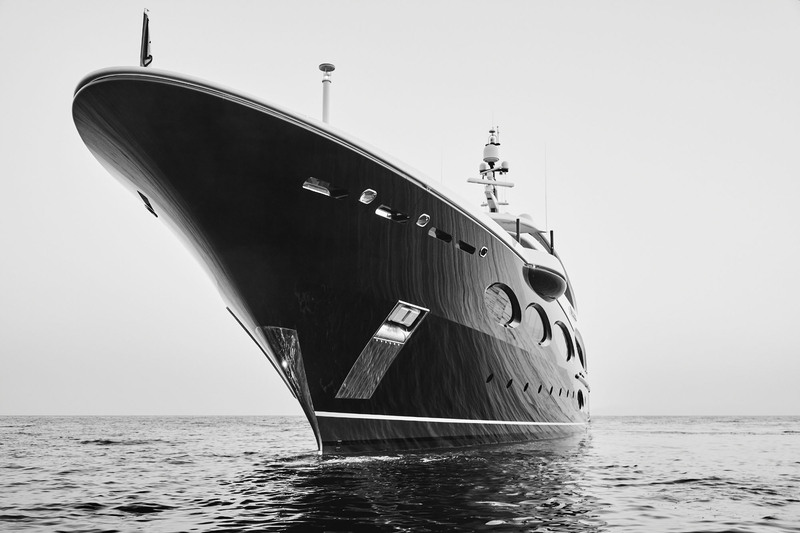 We often encounter the same discerning owners and designers as on our super yacht projects. 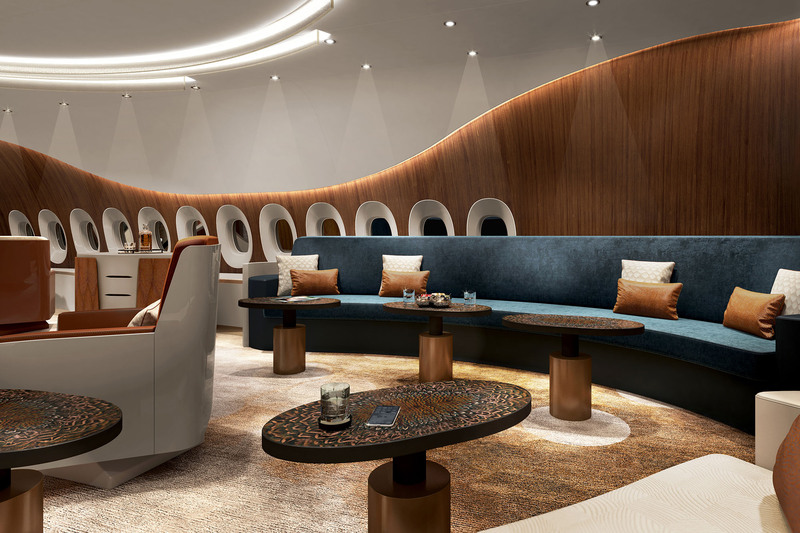 Of course, we feature in smaller spaces on aviation projects, whether as bulkhead panels; furniture components; bar, vanity and countertops or details like handles or insets. We work with several leading completion centres and outfitters, meeting all the relevant aviation specific technical requirements. While super yachts and private jets do not necessarily chime with a sustainable lifestyle, we see a part of our mission as propagating our sustainability values, and are encouraged by the increasing interest shown by owners and designers in the subject. We are the preferred partner of many designers, yards, owner teams and outfitters in this industry. This is based on our wide portfolio of surfaces, skills and solutions combined with a proven track record of delivering complex projects on time. We are usually involved at the inception of a project because many of the concepts, surfaces and applications take time to develop. The particular nature of each natural material needs to be understood and accommodated in the final solution. We are able to deliver our solutions because we undertake extensive research and development at our laboratories in Switzerland and the Philippines. We have engineers, coatings and materials specialists, and chemists in our team. Amongst the technical challenges we have overcome, we have obtained IMO certification for most of our portfolio that meets the stringent flammability compliance required for the largest private yachts. This certification is also needed for cruise ship interiors. We also provide flammability solutions for our aviation projects. 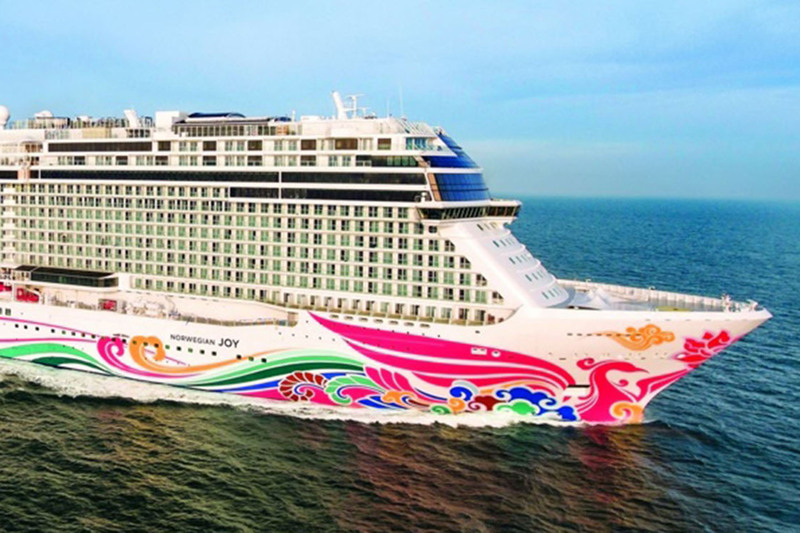 We have provided bespoke wall claddings and artwork panels for the vessels of cruise operators like Norwegian Cruise Lines and Royal Caribbean Cruise Lines in their public areas and suites. While functionally closer to our hospitality clients, we are well placed to serve this industry from our marine superyacht experience. All this has required innovative and expensive investment but has led to our unique position in having such a certification. We have also benefited from constructive working relationships with Lloyds Register and our IMO-approved testing laboratory.